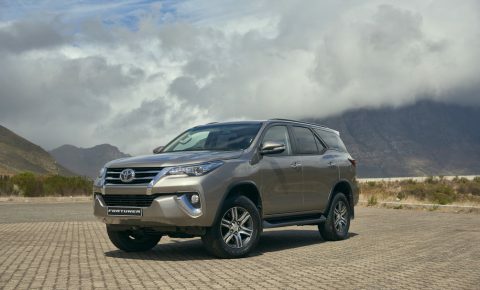 Stand up and rejoice South Africa, for the new Fortuner has arrived on our shores and it represents a mammoth leap forward compared to the model we all know and love. It sports its own unique styling, a lavish and equally distinctive interior, has a host of engines to suite any lifestyle and retails for the kind of price that’s going to leave the local Ford dealer principal crying himself to sleep at night. 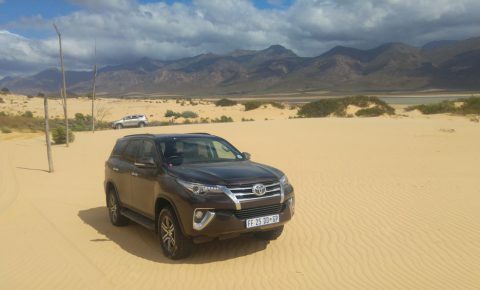 Before we start exploring the new model, however, let’s remind ourselves why the first Fortuner became the undisputed SUV overlord of South Africa. The first Fortuner was in essence a Hilux with an SUV body on top. So simple was the formula, we often wondered why nobody had ever though of it before. 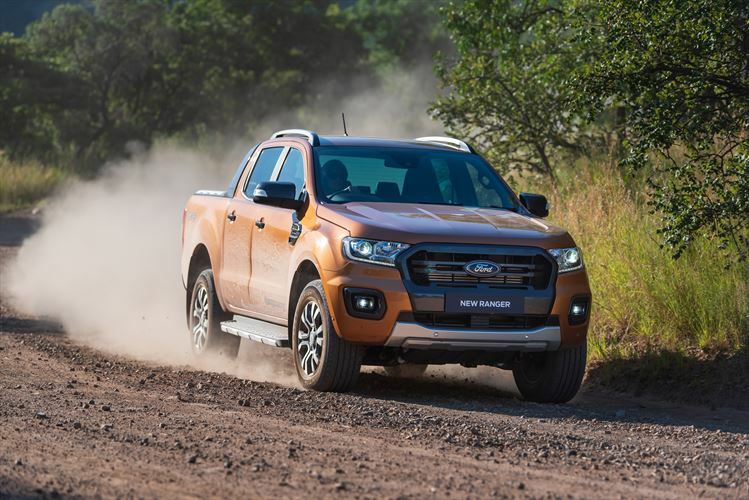 Why burden the company with millions of research and development costs when you can simply lower a handsome Hilux body, with a bespoke SUV rear, on top of an already developed chassis with an already proven line-up of engines. This turned out to be such a great idea that other manufacturers followed suit shortly after, but none of them got within spitting distance of the Fortuner’s sales figures. It must have made an indecent pile of money for Toyota. And it deserved all of its success, because it was so perfectly suited to South Africa and its people. We had a long-termer a while ago and we absolutely adored it. There are numerous reasons why, but if we had to pick two it would be the fact that it was a Toyota, and that it was always a bit of a bargain. 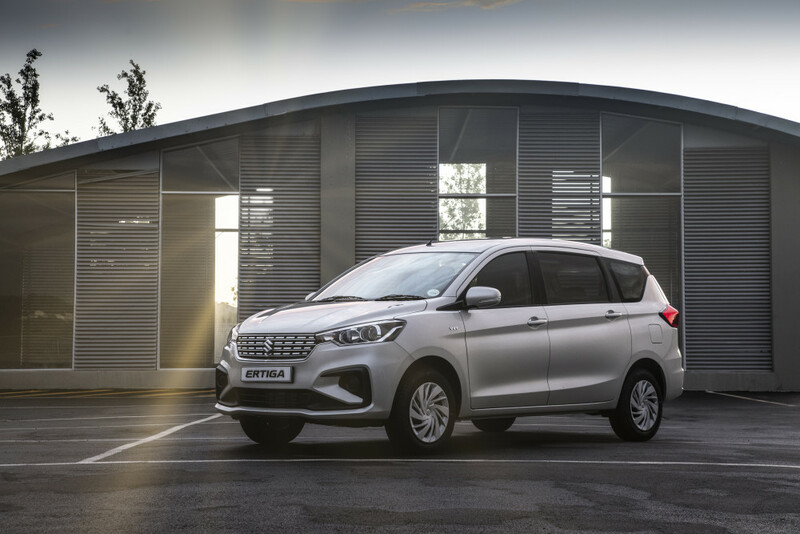 Last we checked, you could buy an entry-level 2,5-litre 4×2 with all the luxuries you need and seven seats for R409 000. Neither a nasty spell of rollovers in the first year, nor the fact that it was the tailgater’s vehicle of choice could put a chink in this vehicle’s armour. What’s with the bespoke malarkey? 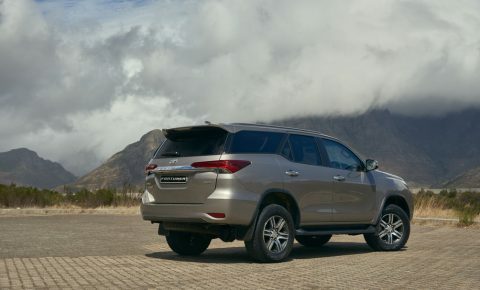 It seems Toyota syphoned a few million from the indecent pile of cash it made from the first Fortuner to develop this one, because it actually feels two generations ahead of the old one. There are hundreds of reasons why it’s so much better, with the main one being the bespoke exterior and interior. Some fans may not like the fact that it doesn’t look like a ‘Lux from the front, but the bespoke exterior makes it feel a lot more special than it used to be. 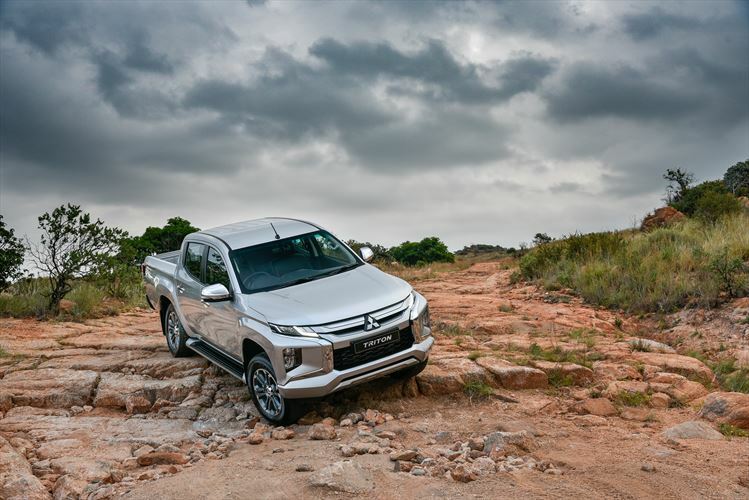 The Fortuner used to be just a Hilux with a boot, while the new one can rightfully claim to be a stand-alone 4×4 with its own style and personality. It also looks more expensive as a result, which places it in a prime position to take on the ruggedly elegant Everest. It’s easily a match for the Ford in the looks department. If anything, it looks more Lexus than Toyota and that’s saying something. So it’s nice on the inside? Yes, very much so and for the same reasons highlighted above. It used to match the Hilux inch for inch, but it now has an interior that faintly resembles that of a Prado or Land Cruiser 200. Standard specification remains generous, while the overall execution is more sophisticated than it is on the bakkie. 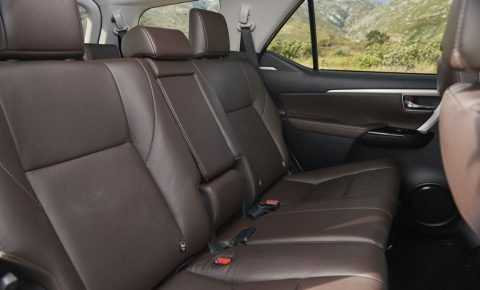 The host of toys includes the usual comfort and convenience features, as well as a touch-screen infotainment system with Bluetooth connectivity, aux input and a USB hub. There are also loads of storage spaces splattered around the cabin, as well as numerous 12V sockets for charging phones and such. The third row is still a rather cramped affair, but since those seats will likely only be used occasionally, we won’t complain too much. 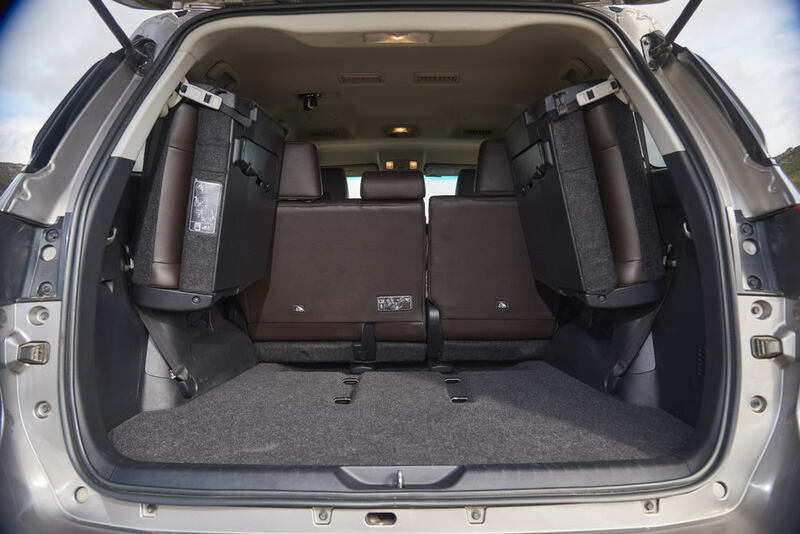 Space was always a major highlight in the Fortuner and we’re pleased to report that it remains a highlight in the new model. The boot is massive and leg/headroom in the second row is remarkably generous. 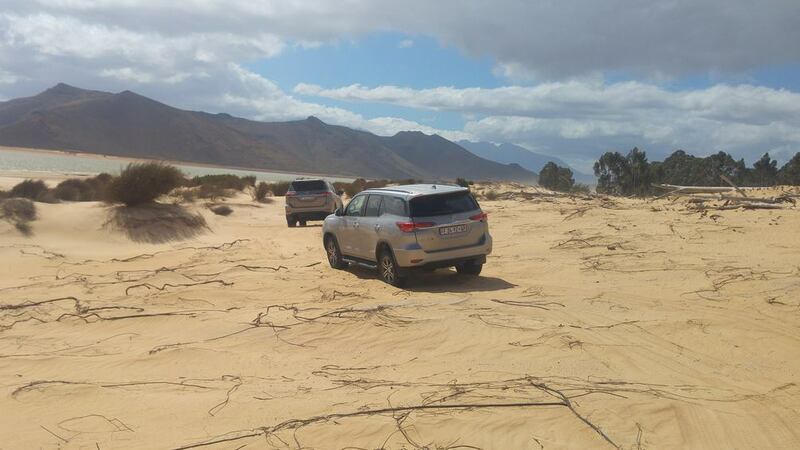 We see a lot of successful family holidays in the Fortuner’s future. The previous Fortuner was available in various flavours and this one is no different. There are no less than four engines available over a wide range that includes 4x4s, 4x2s, manuals and automatics. If you can’t find one you like, you’re just being stubborn. 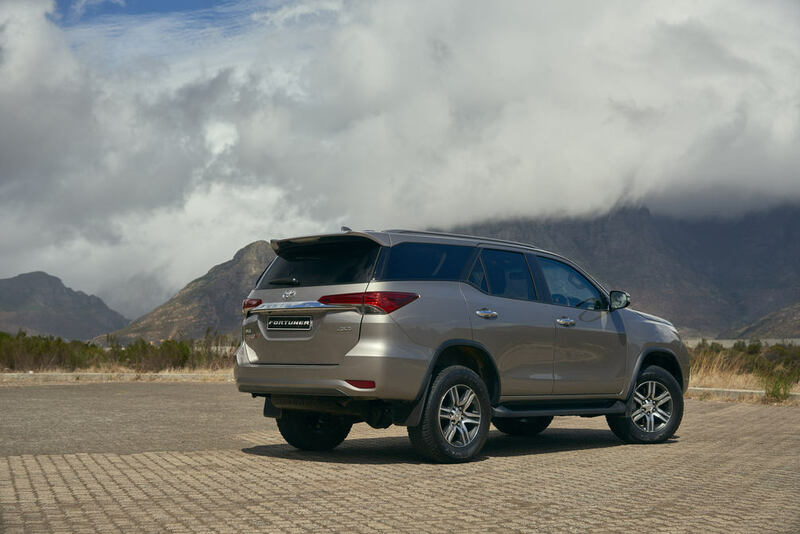 Such a big range is great news for South Africa, because it means the Fortuner caters to many different wants and needs. Need an economical 4×2 that can handle a daily commute between Jozi and Pretoria? There’s a model for that. Interested in a proper off-roader with a powerful petrol/diesel, locking differentials and low range? Toyota can do that as well. The two turbocharged diesels are new from the ground up, while most Toyota fans will be well acquainted with the 2,7-litre and 4,0-litre petrol options. The diesel powertrains are plucked directly from the Hilux. 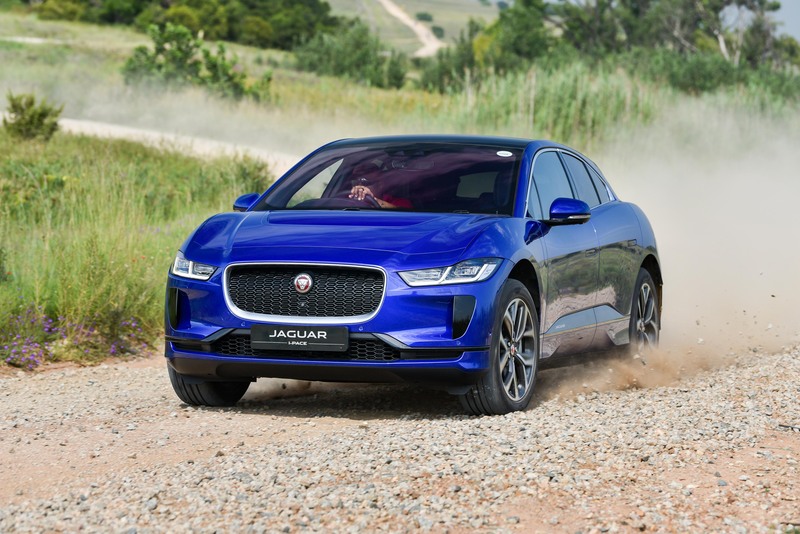 The 2,8-litre (130kW/420Nm) makes light work of any situation, while the 2,4-litre (110kW/400Nm) might just be all the engine you could ever need. We look forward to a full assessment to see if this is indeed the case. Can I get it dirty? Yebo. At least as dirty as a Hilux. The mechanical and electronic bits are the same, which means you could easily off-road with the best of them. 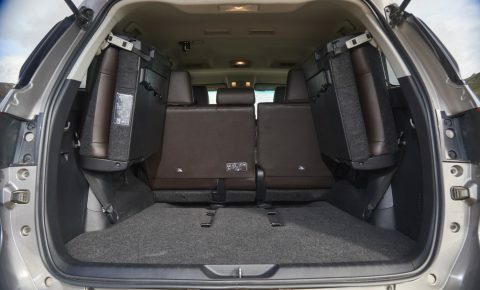 Given the size of the Fortuner, one might even consider it a decent overland vehicle. The launch included some off-roading, which confirmed that mud is still present in the Fortuner’s DNA. And while its off-road prowess is mighty impressive, it’s the on-road refinement that really stood out. 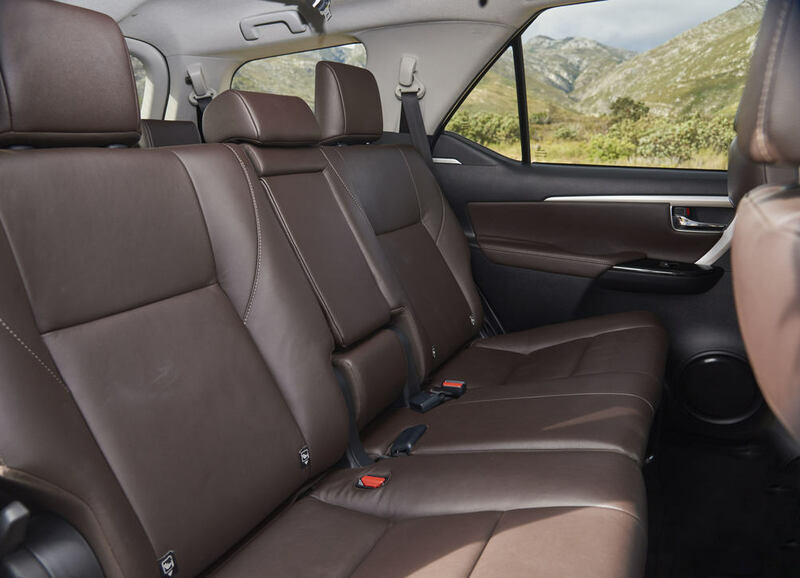 Like the Hilux, the Fortuner’s comfort levels have increased threefold, making it infinitely better at the daily grind, which, if we’re honest, is a lot more relevant than how dirty you can get it. Don’t be fooled, however. It’s very much a 4×4, but we’ll explore than side of it a bit more in a full road test. If you’re shopping around in the upper echelons of this segment, it should be at the top of your list right next to the Everest. If not, there are a multitude of other models available and it this regard the Fortuner currently reins supreme. Ford desperately needs to introduce a more comprehensive line-up if it wants to compete with the Toyota. It’s also worth noting that the Fortuner offers an interesting alternative to its more expensive stable mate, the Prado. 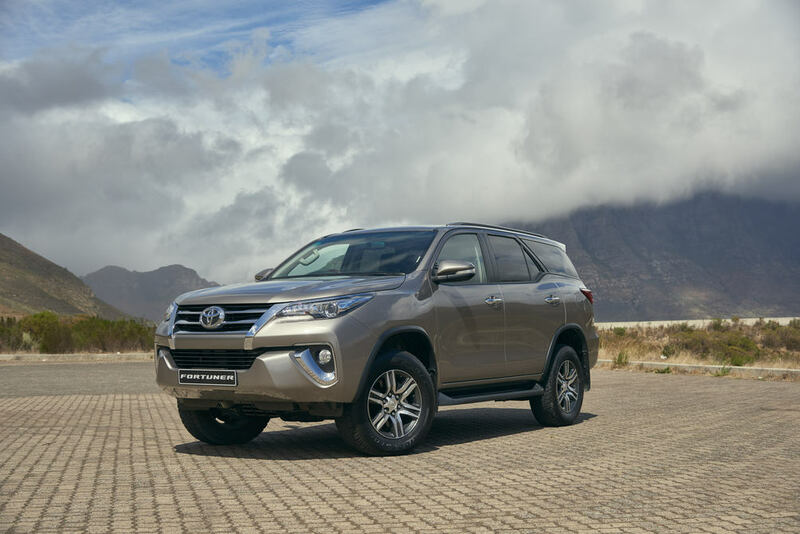 It feels very similar in terms of size and refinement, but whereas the Prado has to make do with the old D-4D engine, the Fortuner is equipped with the new 2,8-litre GDS engine and numerous driving advances at a significantly cheaper price. Fans of the ‘Tuna will be happy to learn that the new model, even with all the numerous upgrades, remains a bargain. 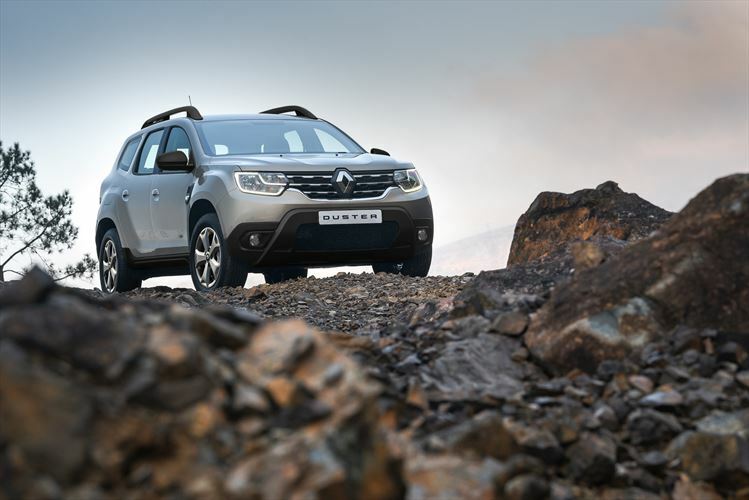 Prices start at R436 000 for an entry-level 4×2 petrol and ends at just over R600 000 for a top-spec 4×4 petrol with navigation. The real star of the show, however, is the 2,4 4×2 in either manual or automatic. These models retail for R436 400 and R453 400 respectively, which is a relatively small amount of cash for a whole lot of car. View more images of the new Fortuner here.